Frida Kahlo Paints "Los Tres Amigos"
As a token of their friendship, and to repay him for his service, Kahlo painted a portrait of Dr. Eloesser in 1931 at his home on Leavenworth Street. Dr. Eloesser became Frida's personal friend and her most trusted medical advisor throughout the rest of her life. 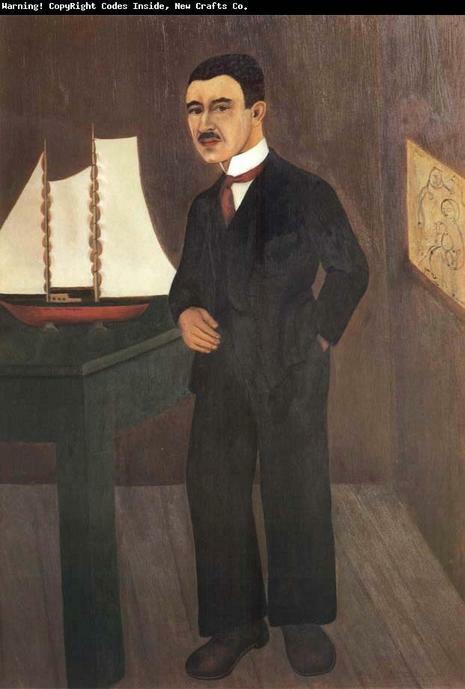 Frida painted this portrait of the doctor to express her gratitude for his friendship and trusted medical advice. It was painted at his home at 2152 Leavenworth Street . The ship on the table is a model of a schooner similar to the one that Dr. Eloesser owned and sailed in the San Francisco bay. Frida had never painted a ship before so she asked Diego how to paint the sails. "Paint them anyway you like" he said so she painted them flat and ridged and attached to the mast with large rings like curtains. Frida named the ship "Los Tres Amigos" (The Three Friends) referring of course to Dr. Eloesser, Diego and herself. She inscribed that name on the side of the ship.